Structured cabling has long been the only solution for connecting computer networks, paging systems, delivering internet access and voice communication. Today, businesses are adopting fiber and wireless networks, although copper coaxial cabling has remained affordable with reliable performance. Fiber is more expensive than any other category of copper cable. Not every device requires the speed or benefits of fiber. Fax machines, copiers, printers and traditional phones can rely on standard cabling at a much lower cost. Most businesses that have adopted fiber and wireless networks, still rely on copper and wired connections for many devices. c2mtech’s in house cabling team installs all categories of low-voltage cabling in both shielded and unshielded twisted pair (UTP). Category 5: This standard for structured cabling became possible in 1991, and is still in many older buildings. It is no longer installed by c2mtech due to low bandwidth capabilities, although our team upgrades existing Cat 5 cabling. Category 5E: The E simply means enhanced and for Cat 5E, this doesn’t translate into greater bandwidth. Instead, interference is improved. Category 6: This standard for cabling became possible in 2001. Delivering 250 MHz and supporting up to 10 Gb internet speeds. Category 6A: The latest standard, unveiled in 2009 allows for frequencies up to 500 MHz for voice, data and video. 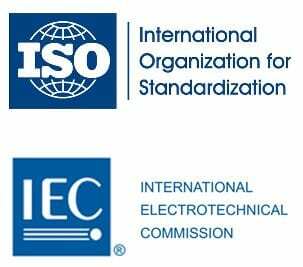 Our technicians provide installation in accordance with ISO and TIA standards. This allows for verified bandwidth requirements, necessary to stream video conferences, internet webinars and prioritized VoIP communication. In addition to wiring buildout, c2mtech installs ladder racks, conduit, grounding and firestop systems and cable basket trays to manage and protect cabling and minimize clutter. c2mtech is a partner with two of the largest vendors in cabling components: Hubbell and Commscope. As a partner, we receive exclusive volume discounts on a variety of components for a cabling installation: vertical and horizontal wire management, distributed enclosures, adapter panels, modular connectors, cords, twisted cabling and more. All of these components and our service is backed by an extensive warranty. In the past few years, internet service providers (ISP’s) have brought fiber optic connections to the entrance of nearly every business in DFW. Work with c2mtech to bring single or multimode fiber connections into the office. c2mtech performs a network analysis to determine what cabling infrastructure and networking equipment upgrades are needed to take full advantage of fiber. No voltage, fiber relies on light to transfer data vs. electricity. This becomes important for environments that require cable lengths to be greater than 300 feet.